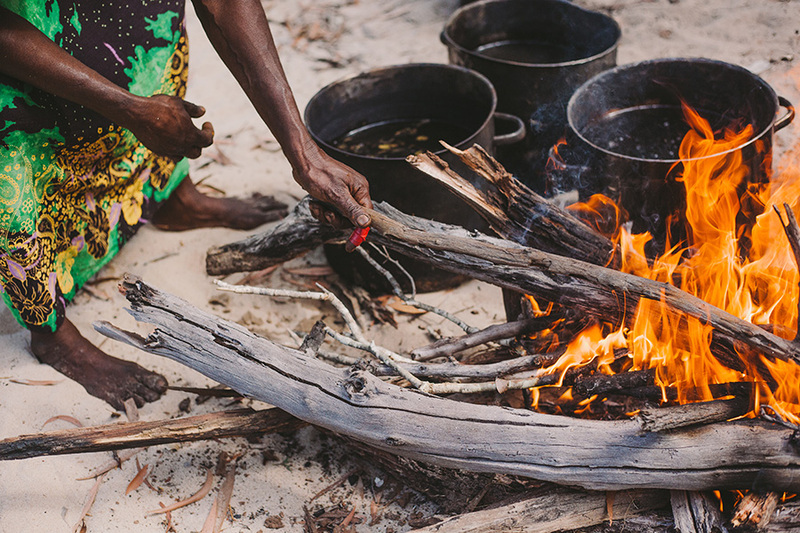 This week we spoke to Umbakumba community leader Maicie Lalara on culture, art and keeping old cultural traditions alive. Maicie is from Anindilyakwa Arts – the 2018 Finders Keepers Indigenous Program recipient for Brisbane. The centre represents the remote communities of Groote Eylandt in the Gulf of Carpentaria. Here’s some of the highlights of our chat together. 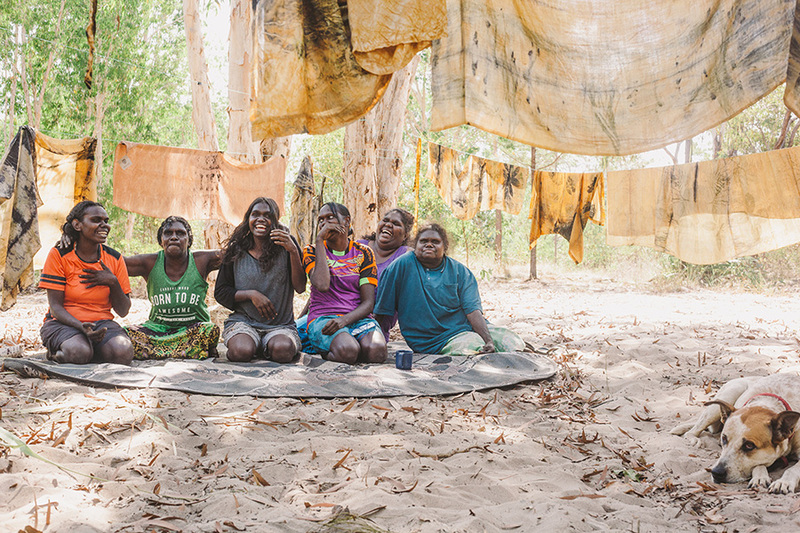 Learn a bit more about the incredible work of Anindilyakwa Arts before visiting them in Brisbane this weekend for the start of the Finders Keepers market tour at the The Marquee, Brisbane Showgrounds. Tell us about Anindilyakwa Arts & your community. 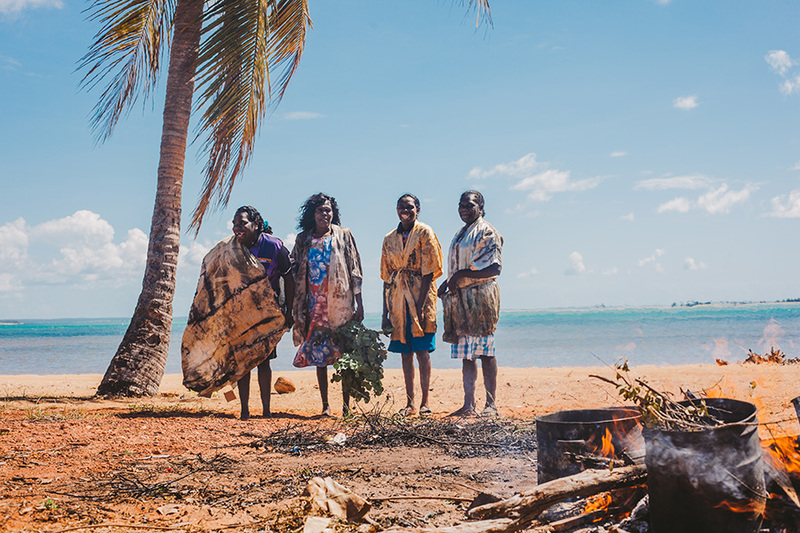 Anindilyakwa Arts is for the remote communities of Groote Eylandt; Angurgu, Umbakumba, Bikerton Eylandt, as well as some from 4 mile outstation. Anindilyakwa Arts has supported lots of artists and created lots of jobs. When we go to Darwin and people see the bush dye they know where we are from. Anindilyakwa; they support artists. They take artists on trips, across Australia for exhibitions, awards, markets and fashion shows. Each week all of the artists get paid for their artwork, it’s good for families and for elders. There aren’t many jobs in the community here. I came and asked Lucy one day, can I come and be your supervisor? If you want anything I can do it. Now here I am. Anindilyakwa is run by our land council. 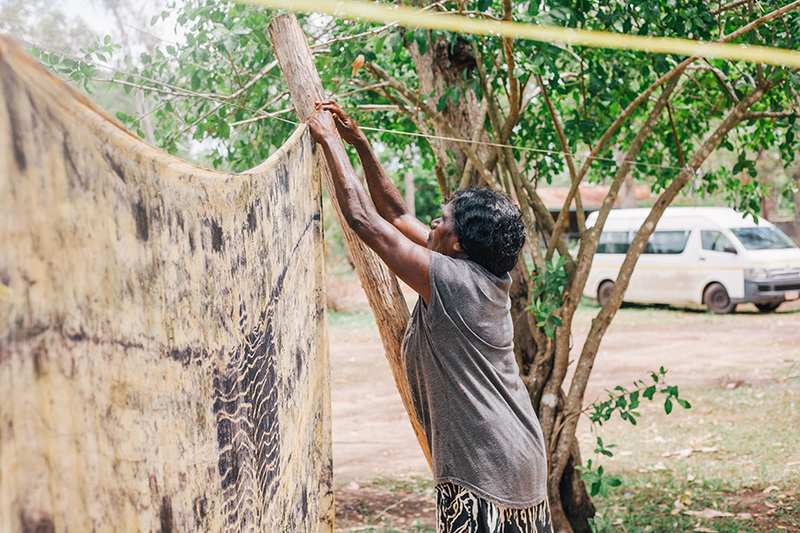 It means that it’s owned by the traditional owners of Groote Eylandt. I’m from Umbakumba. It’s a nice place, where we have the art centre on the beach. It’s much better here. We sit on the beach and feel the nice breeze. I like the colours that come from the mangroves and salt water. I like using salt water with the bush dye. It makes different colours to Angurgu; they use river water. Nowadays I’ve got lots of women coming over, interested in dyeing days. The art centre keeps the community strong, and carrying on culture. 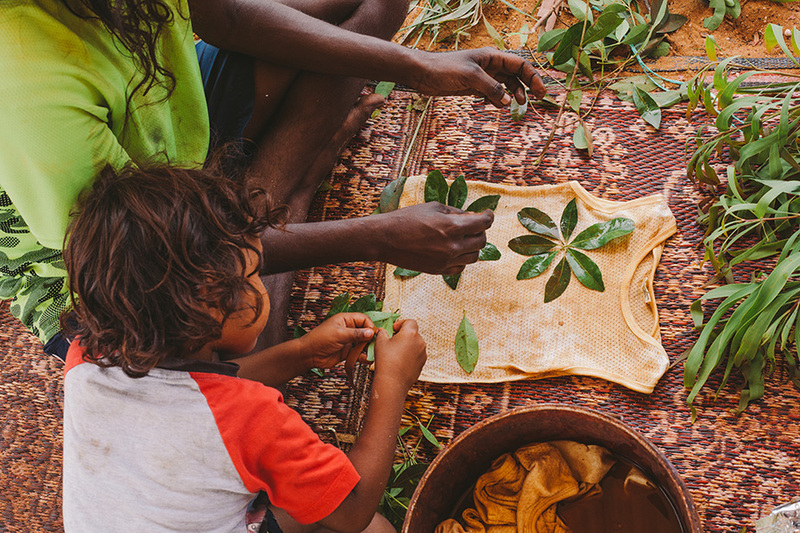 Bush dye, basket weaving & making jewellery. Every dyeing day the women come with their necklaces and their own designs. Some people in the community don’t respect culture or art, but I think about old ways and keep it strong. I grew up on this island; this is my home. I’m a young woman, looking for more people to be strong leaders for the island. 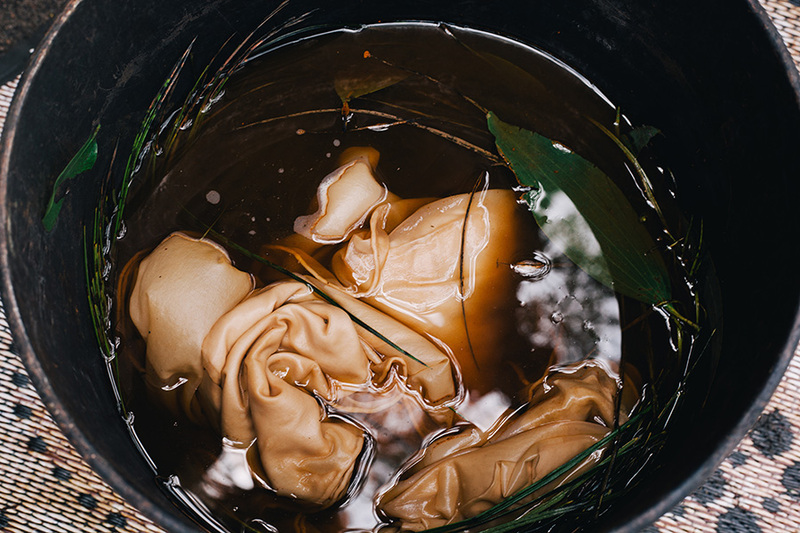 My elders explained to me about culture, how the old people collected colour from the bush and now we dye fabric with this knowledge. What kinds of products do you sell in your shop? What’s the most popular? People like our weavings and baskets. 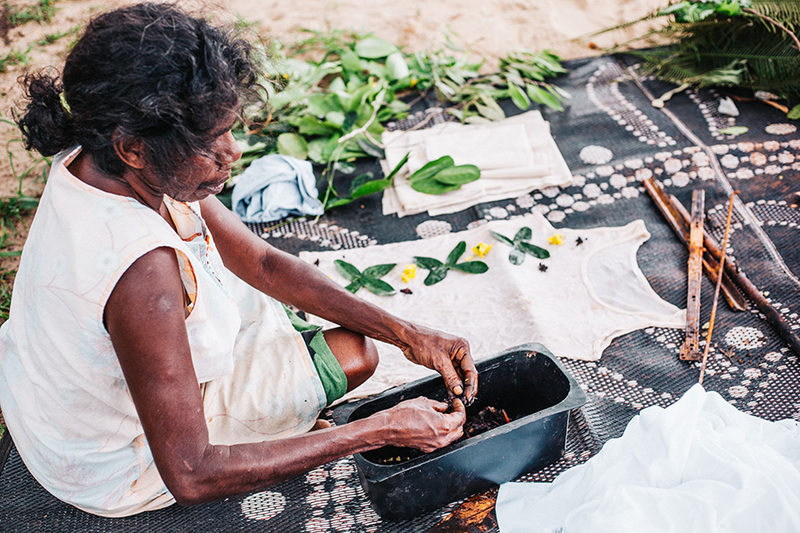 They also like the traditional bush dye on the T-shirts, sarongs and scarves. 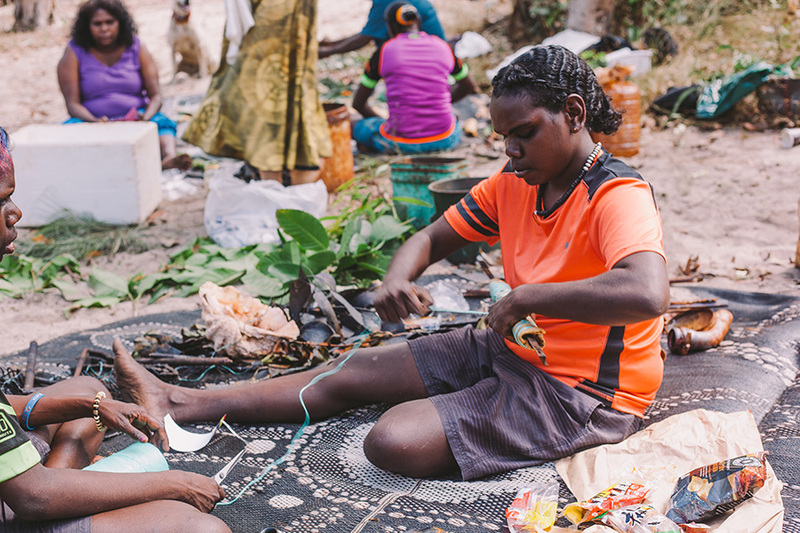 The old women also make jewellery, they collect the shells from the beach, seeds from the bush and sometimes floating in the water. How do you feel when you see people from far away happy with their baskets or bush dye? Myself? When I see them, I’m proud of myself and what I’m doing. I’m proud for my community, my elders and of myself. The elders, the young ones, they have their own styles. To me, I’m proud and happy and can’t stop looking at the colours when they come from the dye pots. I can’t stop smelling the fire.